Readings 7 -9 pm. Open Mic in the middle. Sign up for Open Mic when doors open at 6:30. Admission donation $5, but no one will be turned away. Unitarian Universalist Congregation of Atlanta – 1190 West Druid Hills Drive NE, Atlanta, GA 30329. Sherry J. Williams is an accomplished poet, novelist. playwright, essayist, theatrical actress, producer; and director. Her work has been performed at the National Black Arts Festival, New Black Playwrights Festival, PushPush Theatre, Actors’ Express, Wheelbarrow Summer Theatre, Clark Atlanta University, Emory University , Georgetown University and numerous other venues. Ms. Williams has published one novel, Black Brass, and just completed another, This Land is My Land. When she’s not creating or performing, Sherry provides consulting services to political and business leaders on policies of inclusion and non-discrimination. She is a regular contributing writer to Minority Business Enterprise Magazine. 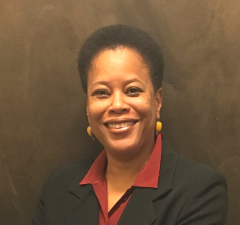 Ms. Williams is a graduate of Georgetown University School of Foreign Service and Emory University Law School. Rita Awan started writing poetry while a docent at the High Museum of Art. She progressed to a collection of diverse poems that use picture-making words and nature motifs to evoke social commentary and reflections on relationships – how they unite, interrupt, separate and destruct. She has read some of her work at Charis Book Store, Barnes and Noble, Callenwold Fine Arts Center, Hammonds House Museum, and Java Monkey. Ms. Awan’s book of poetry – Subliminal Noise – is available on Amazon. ‹ You are a gift to us!